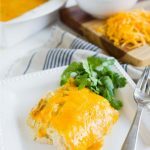 For a quick, easy meal, whip up these Green Chile Chicken Enchiladas with ingredients you most likely have on hand! Enchiladas are one of my go to meals. I know, without a doubt, my family will eat them up every time. Beef enchiladas, chicken enchiladas, enchilada dip, you name it, I’ll make it! 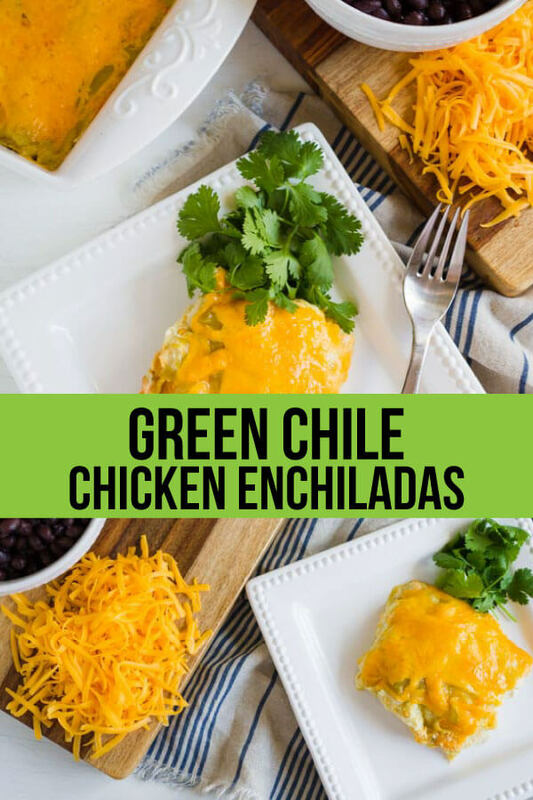 This recipe is for Green Chile Chicken Enchiladas. 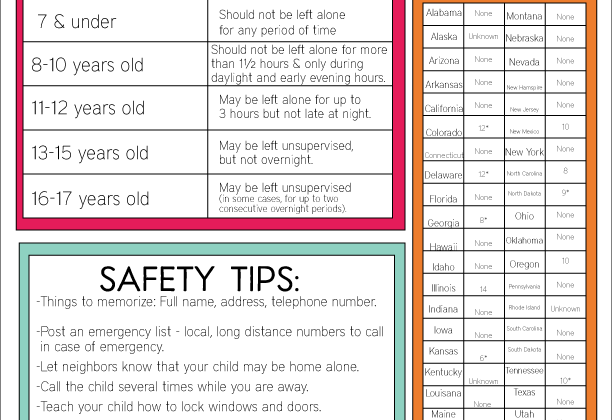 And one of the best things about it is that it’s super easy to make. As I just mentioned, there are a lot of types of enchiladas. The possibilities really are endless. To make enchiladas you need a few key ingredients: corn tortillas, filling and sauce. The word “enchilada” is the past tense in Spanish for “to season with chili.” (13+ years of studying Spanish in school finally paid off!) So typically, enchiladas are covered in a tomato and chili pepper based sauce. Having said that, you can use whatever type of sauce you want. Most of the time I make enchiladas with a red sauce or white sauce. But this version uses a green sauce. Tortilla tip: My mom taught me when using corn tortillas to heat them up in the microwave. You get a paper towel slightly wet (run it under the faucet water quickly and squeeze any excess out), add about 5 corn tortillas on the paper towel and fold it over. Microwave for approximately one minute to soften the tortillas. Be careful when you take them out because they are hot! 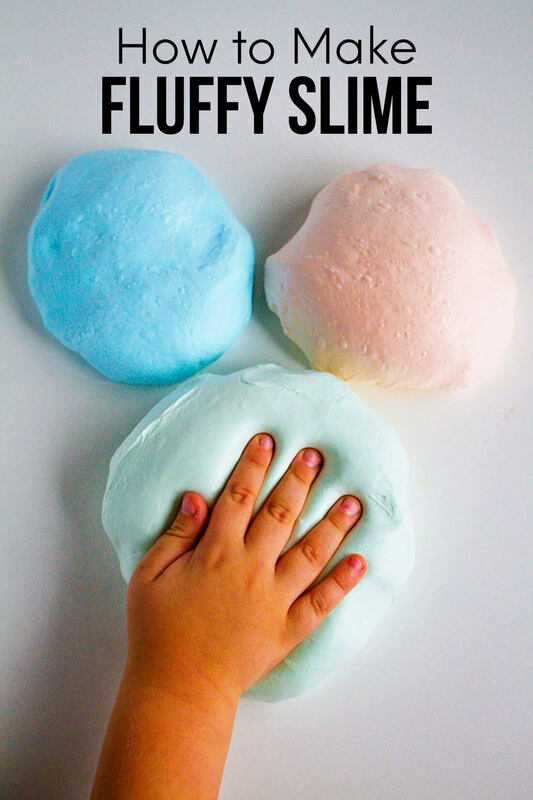 This makes it really easy to roll them after putting in the filling. If you don’t heat them up, they will crack. It’d be perfectly paired with 15 Minute Instant Pot Mexican Rice and some black beans on the side. Yum! 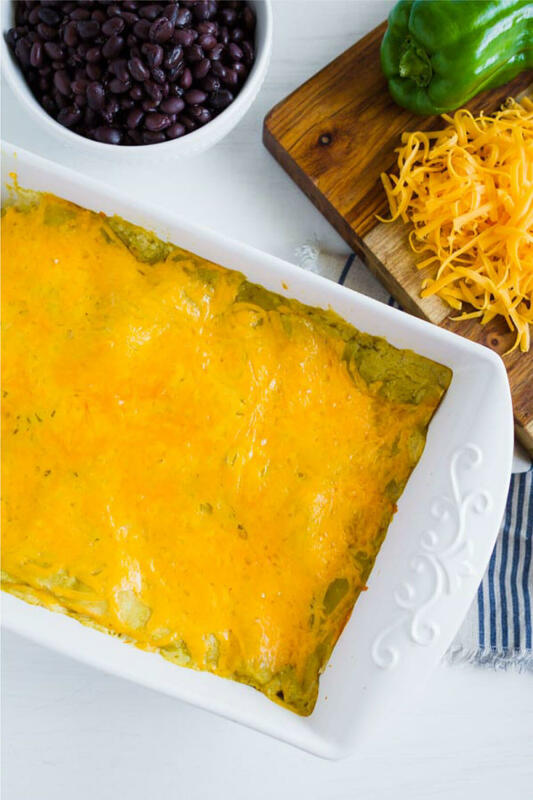 For a quick, easy meal, whip up these Green Chile Chicken Enchiladas. Learn tips and tricks to make the very best enchiladas! Arrange in the prepared baking dish. Bake 45 minutes in the preheated oven, until no longer pink and juices run clear. Cool, shred, and set aside. Pour about ½ inch enchilada sauce in the bottom of a medium baking dish, and arrange 6 tortillas in a single layer. 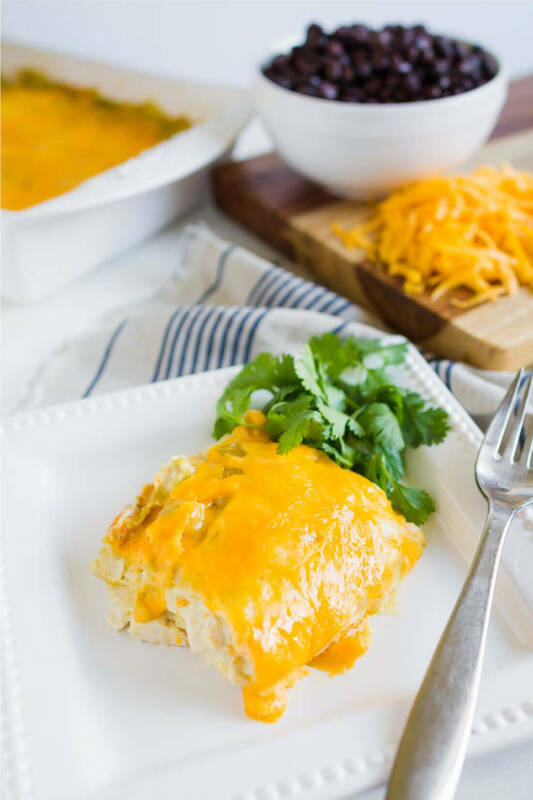 Top with ½ the chicken, ⅓ cheese, ½ the sour cream, and ⅓ of the remaining enchilada sauce. Repeat. Sprinkle with remaining cheese, and top with any remaining enchilada sauce. What type of enchiladas do you prefer? 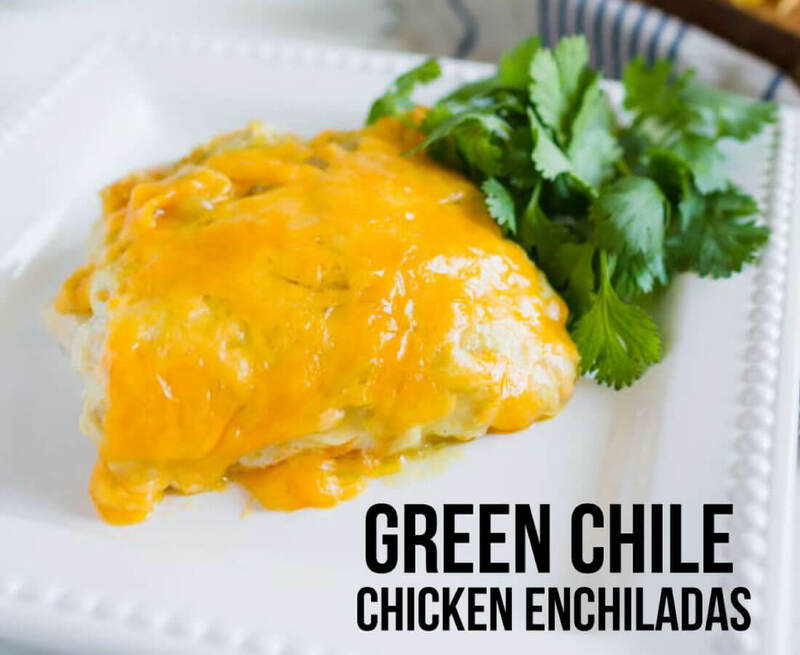 Have you made a green sauce version before?